The important thing at a funeral is to be present without calling attention to yourself. Funerals can feel socially awkward even for those who were personally close to the deceased, because grief is such a powerful and often raw emotion. People often feel like they don't know what to say or do after someone has died. When attending the funeral of a boyfriend's family member, quiet dignity will make the best impression. There used to be a strict etiquette rule that black was the only acceptable color to wear to a funeral, but this is no longer expected. On the other hand, you don't want to show up in bright yellow or hot pink, either. The clothes you wear to a funeral should be conservative, neat and clean. Darker colors are generally more appropriate than lighter colors, but the overall impression is what is important. The message you want to send with your outfit is that you take the occasion seriously. Don't wear anything that would attract too much attention. This is especially important at the funeral of your boyfriend's grandmother, because older family members who will be present may have more conservative expectations. Usually, you wouldn't sit near the front at a funeral for someone who is outside of your immediate family, but at a funeral for your boyfriend's grandmother, he will be seated up front, so you will sit next to him. Your role at the funeral is just to provide emotional support for him, so all you have to do is to go where he goes and do what he does. 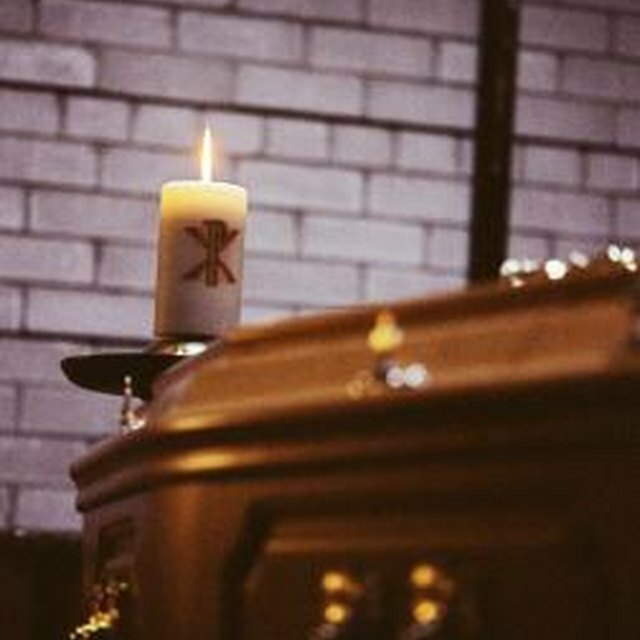 During the service itself, there will probably be an opportunity for people to get up and speak about the deceased. If your boyfriend gets up to talk about his grandmother, you will stay seated. If friends or family members tell an amusing story during the service, it is acceptable to laugh quietly. 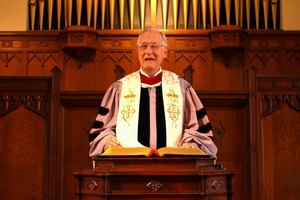 If you knew the deceased very well yourself, it might be appropriate for you to get up and say a few words during that portion of the service. Concentrate on the positive and avoid any topic or anecdote that might upset family members. After the service is over, the mourners usually line up and walk past the coffin. 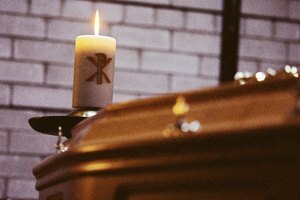 When you and your boyfriend reach the coffin, he might want to pause for a few moments to say goodbye or to say a prayer. After this, you'll go up to speak with the chief mourners such as your boyfriend's parents. Say something sympathetic such as "I'm sorry for your loss" or "she was always so kind to me." If your boyfriend stays up with the chief mourners instead of walking through the line, you'll stay with him and thank people as they come by. To avoid making a bad impression with your boyfriend's family, concentrate on being quiet and serious, yet sympathetic. Don't do anything to call attention to yourself. Most importantly, don't do anything that could be perceived as irreverent. Singing or laughing at an inappropriate time, texting or taking a phone call could send the message that you don't care about the mourners' feelings and don't understand the seriousness of the situation. 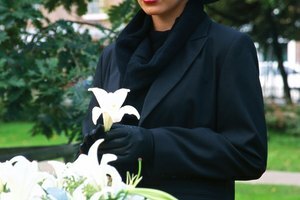 Although funeral etiquette might seem complicated, it really isn't. The only thing you really need to remember is to respect the feelings of the other people who are there. Thompson, Scott. "How Should I Act Around My Boyfriend's Family if His Grandma Passed Away & I'm Going to the Funeral?" Synonym, https://classroom.synonym.com/should-act-around-boyfriends-family-his-grandma-passed-away-im-going-funeral-8373.html. Accessed 19 April 2019.